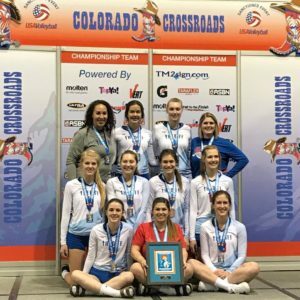 Home » Announcements, News Slider » Congrats to 18’s Who Won A Bid At Crossroads! Congrats to 18’s Who Won A Bid At Crossroads! Congratulations to all Diff teams on a great weekend of competition at Crossroads! Special shout out to 18s who went home with a bid to nationals and some new hardware!